Health educator Don Bennett has been thriving on a low-fat diet of raw fruits and vegetables for 18 years. 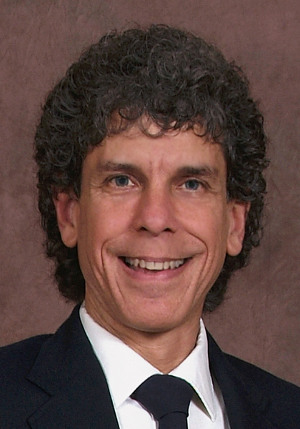 The diet has rid him of hypoglycemia and tinnitus, and improved his life in many other ways. The 54-year-old is the author of "How to Have the BEST Odds of Avoiding Degenerative Disease," and the DVD series, "A Healthier You!". He also is a regular lecturer on health topics. This interview was conducted in March of 2009. Andrew Perlot: Please tell us a bit about your past and how you came to start a raw food diet. Don Bennett - While in my late teens, about 34 years ago, I became increasingly frustrated with the my energy levels; they were often too high or too low, and I had no idea that this was caused by roller coaster blood sugar levels. A friend's mom who was a nurse suggested I might have hypoglycemia, a condition which described my symptoms perfectly. I started researching, and my first book was "Sugar Blues" by William Duffy. This really opened my eyes! I stopped eating all sugary junk food for a week to see if this part of my diet was indeed the culprit. The extreme withdrawal I experienced did tell me I was on to something. Because I really cared about my health, my next thought was, "This junk food takes up a substantial part of a supermarket... what else do they sell that's not good for me?" And this led me to my next two books, "Modern Meat" by Orville Schell and "Don't Drink Your Milk" by Frank Oski. These were jaw-dropping. So I was now firmly on the health seeker path, wanting to know the truth about what I am supposed to eat as opposed to what various industries want me to eat. Since there was no internet at the time, and I had no knowledge of Natural Hygiene, I ended up figuring out the tenets of healthy living for myself, eventually coming to the conclusion that if I had to cook something in order to be able to eat it, it couldn't be "my food". Okay, so NOW what do I eat! I reasoned just fruits, vegetables, and some nuts and seeds. And after I went "all raw" that's when I felt the most profound improvements, way more pronounced than anything I had experienced after going vegetarian and then vegan. Andrew Perlot - What benefits- athletic, mental, or anything else - have you noticed on a raw food diet? Don Bennett - I most definitely have more energy, need less sleep, and have better clarity of thought, and the physiology behind why this so - that of nerve energy - is fascinating. I used to need glasses to drive and to watch movies, and now I don't. My far vision is now so crystal clear, it never ceases to amaze me. I would have it for my whole life. As it turns out, the reason this is usually the case is that tinnitus isn't life threatening, and most people's bodies are too busy dealing with multiple life threatening issues, and since they need to devote all "healing power" to those issues, their body never can get around to dealing with the non-life threatening ones like tinnitus. So most people take things like tinnitus to the grave with them. And that's why I was told by the experts that long term tinnitus never resolves itself because this was their experience. Also, since I no longer eat any cooked food my White Blood Cell count is now normal, as are my blood pressure and body temp, but all three "low" according to the medical doctors who base the numbers on the relatively unhealthy general population. I did meet one doc who was actually interested in my explanation of how digestive leukocytosis raises ones WBC count when you eat something cooked as opposed to eating it raw... your White Blood Cell count rises in response to a foreign invader in order to eliminate it. Andrew Perlot - What might you eat on any given day? Do you aim for certain caloronutrient percentages over the long term? Don Bennett - I felt fortunate to have been able to figure things out for myself regarding my diet because when I came upon folks like Doug Graham, I saw that I had landed very close to what turns out to be an optimal way of eating regarding things like the proportions of fruits to vegetables to nuts, and carbs to fat to protein. I found that I had instinctively been getting most of my calories from fruit, and some from fat and protein, but I should say here that although this is a good way to explain what types of foods a healthy diet consists of, it should be noted that we don't really derive calories from the protein content of food, and little to none from the fat content. But back to your question, so I don't aim for a specific caloronutrient ratio simply because I've adapted my eating habits over time to eat an optimal ratio. But for those who are discovering the healthiest way to eat from knowledge gleaned from books and lectures, keeping an eye on the caloronutrient ratio may be a worthwhile thing to do for a while until their way of eating becomes natural to them. A good website to figure out this ratio is fitday.com but I wouldn't put too much stock in their nutrient profile calculations because nutrient requirements are to a large extent politically motivated, and the requirements of healthy people and unhealthy people differ. In any given day I eat an abundance of fruits of all different kinds. I try to get as many tropical fruits - the foods of our biological adaptation - as possible; I try to eat durian every week. My "daily staples" would have to be bananas and greens. Then when you throw in mangos, papaya, oranges, kiwi, grapes, dates, figs, avocados, red bell peppers, tomatoes, cucumbers, celery, and some nuts, there's a lot of variety there, which is key. And I should mention that my first meal of the day is water, and that I don't give my meals names like breakfast, lunch, or dinner. Andrew Perlot -How did you get from practicing a raw food diet to advocating for it and teaching others? Do you find people are receptive to your message, or do they have to be sick first? and saw how doing so could help heal serious problems, problems that people may not even know they have yet, I just had to share this with others. Initially I helped a couple whose child had all sorts of ear problems - infections, tubes in the ear, etc. I explained to the parents about how the child's diet could be at the root of all these problems, and was careful to inform them that medical science doesn't consider diet and lifestyle habits as causative factors because it's not part of their curriculum. And then I provided the parents with some hard science about the implications of eating of dairy and grain products. Long story short, when all the kid's problems resolved successfully, word started getting out on how I was able to help the child, and I became busy helping others. It was then I decided that my day job took up too much time, time that I wanted to devote to helping others, and quiet frankly time that I wanted to spend on me relaxing and enjoying life, as opposed to waiting until I retire at age 65. And after a large number of lecture attendees told me I should write a book, and after I realized that there was no one book that addressed all the requisites of healthy living and vibrant health with sufficient information, I decided to write it even though I didn't think it would be well received, but I'm happy to say I was wrong; there are actually a lot of people who truly want to improve their health, they just don't have the faintest idea how, due in large part to all the conflicting information. And it's great that there are those who can "see the light" and who can do preemptive things to avoid illness, but there are also those who must "feel the heat" before they'll consider making some positive changes in their lifestyle habits. Obviously those who take "preactionary" steps will fare far better in the long run than those who do things reluctantly in a reactionary manner. And unfortunately modern medicine is reactionary in nature... and to make matters worse, it's a management paradigm. And any talk of prevention by the medical/pharmaceutical industry involves taking drugs to try and prevent illness, implantation into the body of devices that monitor and possibly dispense medication, or the pre-emptive surgical removal of a woman's breasts to prevent breast cancer. Considering what we now know about the cause of disease and the cause of health, all these "standard of care" practices should be seen as barbaric and maybe even criminal, which is another reason I wrote my book. Andrew Perlot - What are the reasons new raw foodists frequently fail? Don Bennett In a word, misinformation. There is so much conflicting info in the raw food community, and among the raw food leaders themselves, that it's no wonder so many people fail to thrive or fail to resolve health challenges. And the reason for the conflicting info is human nature. Human nature accounts for the various personal preferences and biases on the part of some of the educators, and even the lure of the almighty dollar which brings with it irresponsible behavior which results in misinformation and worse, disinformation. They're both incorrect info, but misinformation comes from someone who really believes that what they're saying is true even though it's not, and disinformation is circulated by those who know it's not true but who don't care because they care more about their own agendas. Andrew Perlot - Could you be more specific? Don Bennett - The reasons most people don't do well, in my experience, is that they eat too much veggies, and not enough fruit, or they eat too much sweet fruit, and not enough leafy greens, or too much nuts and seeds and/or way too many avocados, and this is prevalent among those who eat a lot of gourmet raw food thinking it's a healthy way to eat. Another biggie is overeating, even on the healthiest food and especially sweet fruit, which is why I stress in my talks and in my book that people eventually learn how to eat according to true hunger because this respects the body's needs. Other reasons are the continued use of processed oils, and purposely restricting calories in order to lose weight - which is counter-productive. And if you don't eat enough sweet fruit to provide the calories you need, it can lead to eating too much fat and/or cooked complex carbs. Other reasons worth mentioning are not enough variety of fruits in the diet, or you didn't give what you're doing enough time for detoxification and rebuilding, or you didn't eliminate harmful foods completely which allows defense mechanisms to remain which continues to burden a body that may be trying to heal a serious condition, or you really didn't want to do it to begin with or did it at the insistence of someone else, and last but not least, equal attention wasn't paid to the other equally important requisites of health like sufficient sleep, exercise, sunshine, toxin avoidance, water, stress management, and enjoyable relationships. Sure diet is important, but it's no more important than any of those others. Andrew Perlot - Are you an athlete? Do you believe a person can be truly healthy and not exercise on a regular basis? Don Bennett - I don't tend to label myself because the definitions of those labels can be misunderstood. For example even though I eat only raw food, I don't call myself a "raw foodist" or even though I eat primarily fruit I don't call myself a "fruitarian" because there are many definitions of those terms. Even "low-fat vegan" doesn't paint a clear picture to someone who's never heard that term before. So although you could say I'm athletic, I don't think of myself as an athlete. What I've found - and I devote a whole chapter in my book to this subject - is that when it comes to physical activity, people either way under do it or way over do it. It's easy to comprehend the downsides of being sedentary, and there is plenty of literature that supports the notion that if you are under active, your fitness level will not keep pace with any physiological health level you may posses. After all, what good is being 90 with no illnesses of any kind but you're too weak to walk around very much and you find it difficult to get out of chair. Now the truth of the matter is that your physical fitness level is closely tied to your physiological fitness level, so in practice it would be hard to be very out of shape and still be 100% healthy and disease-free. Now let's look at the other extreme; those who are over doing it are not as obvious as those who are not getting enough exercise. And over doing it can be just as bad as under doing it, only in different ways. What I advocate is closing your eyes and thinking about it; think about just how active humans would have been a long time ago when we roamed and foraged, and compare that lifestyle to the lifestyles of today, and you'll start to notice not just the ones who are under doing it, but you'll recognize those who are over doing it too, and if that person is you, you may want to reassess that part of your lifestyle. Just as you're investing in your future health by eating well now, and being vigilant to get enough sleep, sunshine, etc., so too should you be investing in your future fitness level. You can make an analogy between those who are burning the candle at both ends but insist they're feeling "fine" and they're enjoying life and then they self-destruct from cancer or heart disease down the road, and those who are over doing their physical activity and insist that this "works" for them and they enjoy it but then they suffer joint or soft tissue damage which prevents them from enjoying a relatively vigorous last quarter of their life. And even if no overt damage occurs, what about the concept of burning more calories than you need to in order to be physically fit and therefore have to eat more food to replenish those calories which only serves to overwork the body's digestive system requiring nerve energy that the body would rather not have to replenish or would rather use for other purposes like healing the damage caused by your previous unhealthy lifestyle habits. That's a lot to think about, but it's worth considering if vibrant health is your goal. Andrew Perlot - Do you consider there to be a "best" exercise? Don Bennett - I feel the best exercise you can do is climbing; it works all the muscle groups; it's the ultimate compound exercise. Yet I know people who can run for miles yet they can't climb a tree very well. I sprint once a week to keep that mechanism in good shape. And I climb or use machines at the gym that work the "climbing muscle groups". Other than that, some spirited walking or rebounding on a mini trampoline is great for moving your lymph fluid which is key to disease avoidance. Andrew Perlot - You take a stance for B12 supplementation, which separates you from the philosophies of some other prominent low-fat raw vegans. Could you explain why you feel this is necessary while something like Vitamin A supplementation is not? Don Bennett There is no subject so hotly debated as this one. I'm going to speak from my own personal experience, which has been corroborated by the personal experiences of others I've met and counseled. I went to see Dr. Joel Fuhrman after having been vegan for about a decade and all-raw for about five years. I had a complaint and wanted his input. When he found out I had not been taking any kind of supplementation, he ordered a test that looks at B12 utilization, as opposed to the standard B12 test which just measures the amount of B12 in circulation. And since I ate no animal products and was eating goodly amounts of fruits and green leafy vegetables, the only reason the test's reading could have been as high as it was, was from a B12 deficiency. And because the number was very high, he, with great urgency in his voice, told me to take some sublingual, under-the-tongue, B12 immediately. When I was retested three weeks later, the number was normal. Both B12 and D are listed as vitamins, but are not vitamins as a vitamin is defined; they're lumped into the vitamin category for convenience, rather than making two new categories. I mention this because we often hear, "We can get all the vitamins we need from our food" but B12 and D are not meant to be derived from food. While it's true that many processed foods are fortified with B12 and D to insure we get enough, when you start moving away from non-health enhancing processed foods, you need to start thinking about where will you now get the B12 and D you need. If your body is functioning optimally, it will make the B12 you need. But many people's bodies cannot make enough B12, or the person's lifestyle habits interfere with B12 production. So if you take a uMMA test or a Hcy test and find you are B12 deficient, do you stick to a philosophy which says that you shouldn't have to take any pills, or do you deal with reality and do what you need to do to be healthy. Same goes for D. It's not in fruits and veggies, it's made by the action of sun on your skin. But if you live in areas that get cold weather and you can't be outside all year 'round in shorts and a tank top, where will you get your D from? And it's not like if you're not getting enough you'll know instantly; insufficient D has been linked to cancer, and that's NOT how you want to be informed that you didn't get enough D.
So when I can't get enough sun, I supplement with D also. And as long as we're talking about vitamins I'd like to touch upon the issue of taking a good multi because I get asked this very often. If I were eating from the wild, I wouldn't need to take a multivitamin. But my food comes from an agri-based system where it's not allowed to remain on the vine/bush/tree long enough to uptake all the nutrients it would have if it had been picked when ripe. Yes, some fruits can ripen on the way to the market and while sitting on your kitchen counter, but that only pertains to the starches converting to sugars; once the fruit is disconnected from the soil that's it as far as nutrient uptake. And when you consider the other factors that play a role in nutrient degradation of our agri-based food supply, a strong case can be made for taking a good multi, and that's why I take one; I don't take it every day, but I do take one. Sure, I'd love to think I don't have to take any pills to be as healthy as I can be, but I refuse to be dogmatic about this, I choose instead to deal with reality and take a common sense approach to this, and to turn to hard science for answers. And for some it may just come down to a philosophy of "better to be safe than sorry". Because this is such an important issue, I wrote a paper on this subject which can be found here. Andrew Perlot -What would you say are the biggest impediments to achieving vibrant health? Don Bennett -Number one: Believing what you'd rather believe or what sounds good to you. Because there's so much misleading and incorrect information in the raw food community, you've got to do your due diligence, you've got to research. Many folks have been taken in by educators who are inspirational or who maintain that their way gets phenomenal results, but bottom line, if you're following someone's approach and you're not getting the results you need, assuming you're following the plan to a tee, it's time to rethink your plan. If you find a leader who you take a liking to, try diligently to find fault with their approach; if they hold up to your scrutiny, then stay with them, if they don't, look elsewhere. Number two: Don't buy into the "do whatever works for you" mentality; I hear this advice all the time. You won't know what truly works or doesn't work for you until many decades down the road, and if it turns out it ultimately didn't work for you, it may be too late to do anything about it. Because we're not living in our natural environment, there are no natural safeguards; in our present environment there are many ways we can go wrong - thanks in large part to the profit motive. If you allow other people to do your thinking for you, and it turns out they didn't have the best advice, your health may suffer for it. So apply independent thought, logic, and common sense to any path you are considering. Some of the most inspiring and best presenters can be the most profit oriented people who don't have your best interests at heart. And some of the dullest and least inspiring speakers can have the truest and most accurate information that, if followed, would be in your best interest health-wise. And yes it's a shame that there can't be consensus in the raw food community on issues that are set in stone from Nature's prospective, but it's also a shame that modern medicine didn't evolve into a natural health modality... as individuals, we have to deal with the hand we were dealt. The good news is, the truth is out there; if you want the truth though the heavens may fall, and if you become an educated consumer, then you'll be able to recognize the truth when you see it. 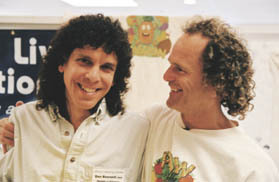 Read about other successful raw foodists like Don Bennett here. Read why it's important to not only eat healthy, but to live a healthy life style here.